Since the first trip to the panhandle of Idaho, I have done more work on the jPod. There were a few things I wanted to work out after using it. It is interesting how using the jPod automatically rearranges my priorities for this build. One of the priority changes was to get some more storage into the cabin area. So I installed our bench that will hinge up into a shelf as needed. Senior Management also thinks that a small child could occupy this bunk at some point in the future. For now, it will hold some of our things and, hopefully, the dogs. I put a bunch of photos in Body: Internal and one teaser at the bottom of this blog entry. A second adjustment was to get some form of electricity into the cabin. The budget for this project hasn’t allowed the purchase of a battery yet but I have already purchased the wiring harness I plan to install in the Jeep to connect the Jeep’s battery to the trailer battery for charging while in transit. So I wired up the exterior lights, fan, & dome light. I’ll simply take this wiring harness and temporarily hook it up every night until I can get it properly installed. I finished the doors. In my last post, I noted that the doors only had one coat of paint on them. After returning home, completely disassembled the doors & finished painting them. 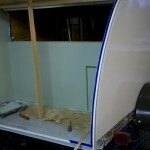 I am now done with exterior paint & the trailer exterior is complete. I am enjoying the feeling of accomplishment. Galley work: Senior management & I looked at paint colors together and she chose a nice green color to paint the galley. It goes well with the exterior color and isn’t obnoxious. There is a lot of green right now but once all of the cabinets & counters are in, there won’t be much showing. 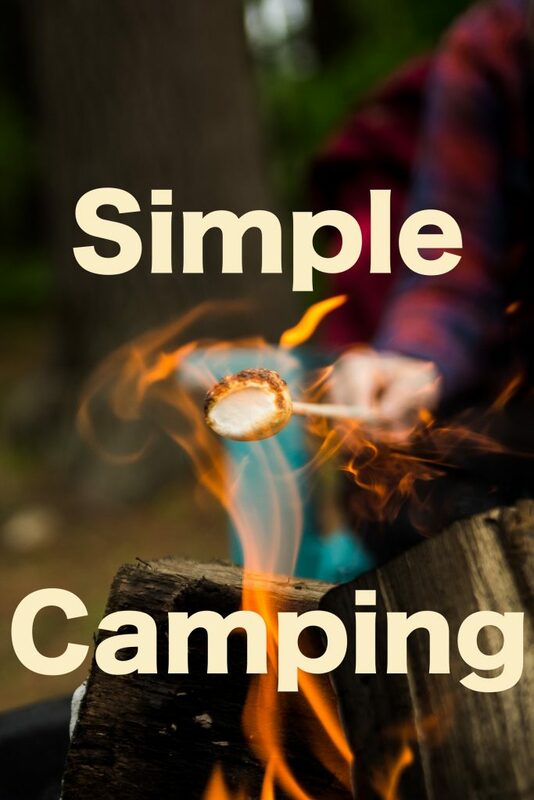 I put some pictures on the Galley page & one teaser at the bottom of this blog entry. License Plate. In anticipation of future off road adventures, I moved the license plate to the rear hatch of the galley. 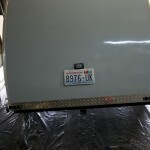 Before, it was hanging down below the tail light (see a picture here). This is fine on a paved road but off road I might tear my license plate off because it doesn’t allow enough clearance. So I moved it to the rear hatch. I like the look of it and the light makes the back hatch look less blank. 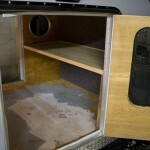 I have added some pictures to the Body: External page of this addition & a teaser photo at the bottom of this blog entry. So that is the progress for now. We plan to take another trip really soon so stay posted. This build may be somewhat delayed while we enjoy using the incomplete jPod before I go back to work & the snow flies.